Communicating with your clients, and allowing them to easily communicate with you, is an essential aspect of running your business. For a long time businesses have commonly used certain technological capabilities to accomplish traditional business practices, one of the most commonly-used being the famous online form. The Adrecom Corporate Portal offers all of the standard configurations, such as text fields, radio buttons and dragdown menus, making it very easy to create the right type of form for your site. This blog post therefore covers two technological key ingredients that have become standard cultural norms in the sphere of webstore buying and selling - lead generation and customer interaction forms. Lead generation is the process of qualifying potential customers interested in buying your product or utilizing your service, or both. While traditional and tangible forms of lead generation are still commonly in use, such as setting up tables and displays to attract peoples’ attention, many companies have turned to integrating lead generation forms into their websites for visitors to fill out. The slight advantage of website lead generation is that the potential customer has already come to the site in order to search for a specific set of information or to make a particular type of purchase. If so, internet lead generation forms act as pre-qualifiers for potential customers, allowing you to invest the time in making them once and letting the form do its work. What Type of Businesses Use Lead Generation Forms? Typically speaking, lead generation has a broad appeal since they help make up the bread and butter of a company’s goals — finding customers. Companies that utilize lead generation forms are divided into two basic categories: product-based and service-based businesses. Any e-catalog product-based merchant site, such as those which advertise printer supplies, oriental carpets or electronic gadgets, or service-oriented sites that offer legal advice, job placement or internet access can utilize lead generation to amplify their sales. After a customer fills out a lead generation form, the information in the form is submitted to an agency specializing in providing businesses with qualified leads. The agency then verifies the potential customer’s information and finds and notifies and provides the suitable company with the information from the lead forms. 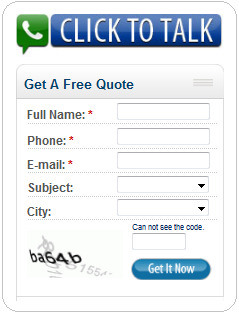 What are Customer Interaction Forms? Customer interaction forms utilize the same principle as lead generation forms but are used for gleaning customer preferences and needs versus qualifying leads. Customer interaction forms follow the same trend as lead generation forms — far from cutting out human interaction, online customer interaction simply makes the forms accessible online. 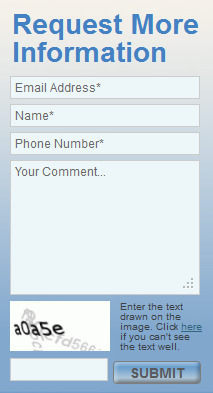 What Type of Businesses Use Customer Interaction Forms? Collecting and interpreting customer preferences is a staple of any business, and suffice it to say that every type of business has what to gain from finding out what their potential customers want and look for in a product or service. This also means that the same distinction that applies for lead generation forms applies as well for customer interaction forms; both product-oriented and service-based businesses utilize them. A customer fills out the online form by filling out the relevant and required information, which is determined by the customer and provided in accordance with available Back Office configurations. The Adrecom Corporate Portal offers all of the standard configurations, such as text fields, radio buttons and dragdown menus, making it superbly easy to create the right type of form for your site. The information is then stored in the Back Office where it can be viewed. The module can also be configured to notify the site administrator when a customer on the front end has completed a form.